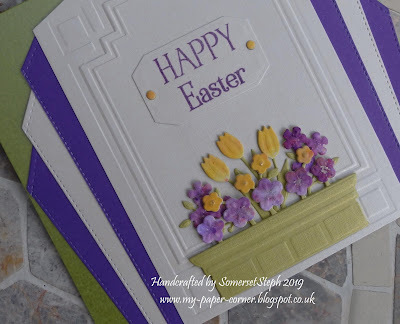 Decided to finally use a 2012 Craft Stamper cover mount stamp by IndigoBlu of boxing hares for a CAS Easter card. 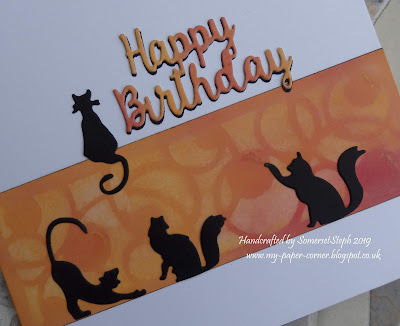 I had already created a background with Brushos so once my panel was cut with stitched dies it was a case of stamping and embossing along the bottom curved edge. 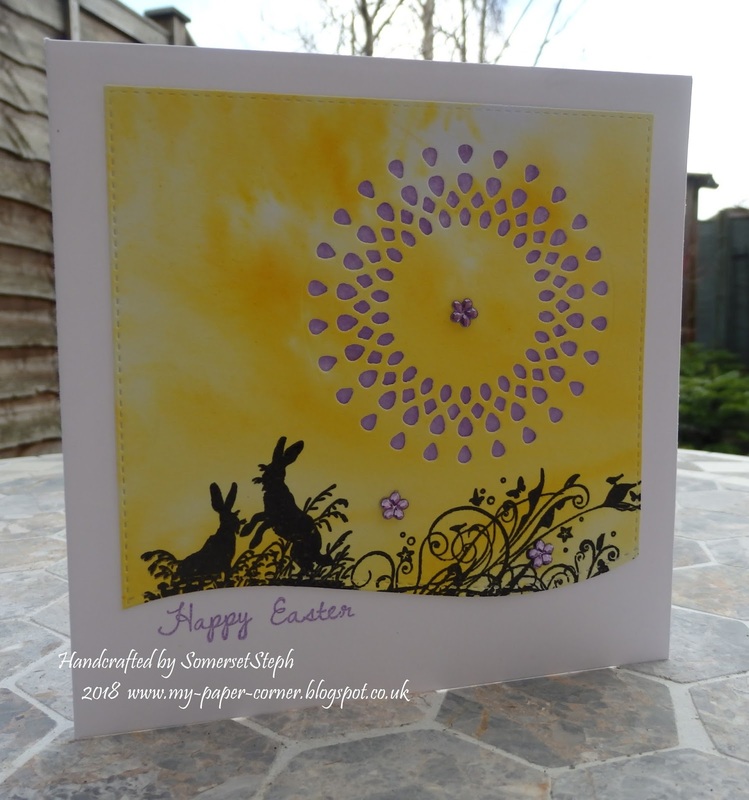 Beside the hares is part of another IndigoBlu stamp (girl called 'Juliet' with flowers, birds & butterflies in her flowing hair). 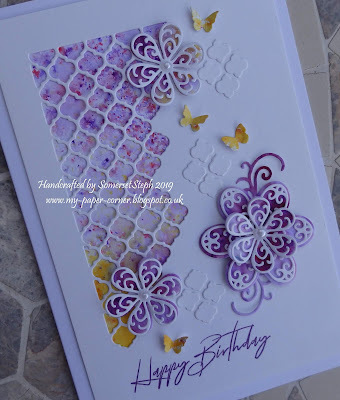 Added a few flower gems and a circular burst die backed with pale lilac paper. 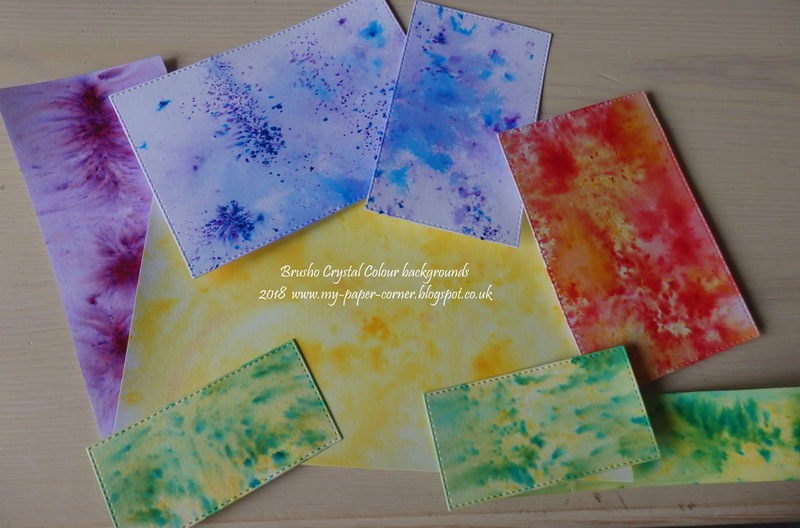 These were the result of a play session I had a while back with Brushos (some I gifted to another crafter) and you can see the Lemon one I've just used. The other colours were Purple, Scarlet & Yellow, Leaf Green ... the top blue pair I didn't note down what I used!